Lee Maurice Pickett, 54, of Stafford County passed away Thursday, July 23, 2015, at his home. He is survived by his wife, Ramona Dawn Pickett; brothers David and Scott Dipardo; mother-in-law Joy Wallace; and brother-in-law James Wallace. He was preceded in death by his father-in-law, Jimmie W. Wallace. The family will receive friends from 6 to 8 p.m. Monday, July 27, at Covenant Funeral Service, Fredericksburg. A service will be held at 2 p.m. Tuesday, July 28, in the funeral home chapel. Interment will be private. We pray that God comforts you and your family during the loss of Lee. 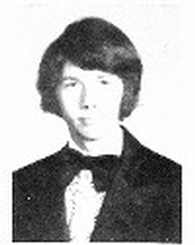 The Spotsylvania Class of 1979 will greatly miss him. &LT; SIGN IN HERE &GT; to add a tribute to Lee.